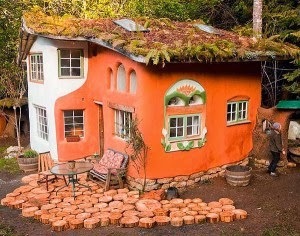 How to build a cob house. Steps and ideas to build a cob house. 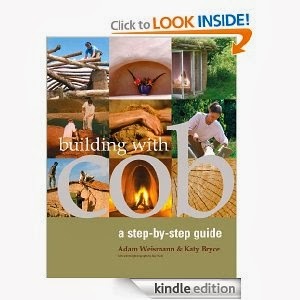 ""This book shows you the ins and outs of cob building. It's very pleasant to read and a must for everyone interested in natural building. I own many books on natural building (mostly American) and find the views of the authors refreshing. You will not find claims of houses built for USD 15.000 or less in this book! No mumbojumbo, but just the bare facts in all of their beauty. I can wholeheartedly recommend this book as it will give you hours of reading pleasure. 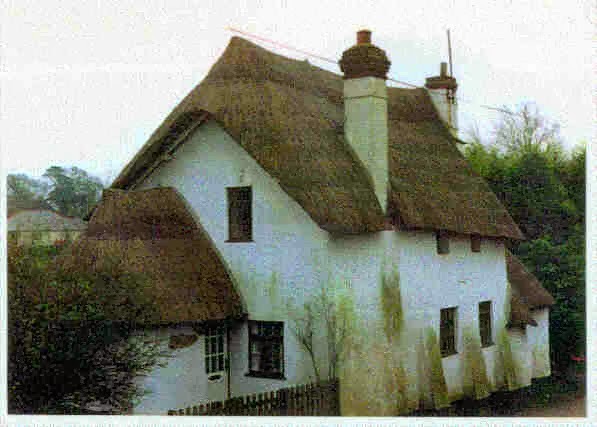 Cod is the earth mixed with straw and water to make cob bricks (loaves). Add sand if there is too much clay and add clay if there is too much sand. 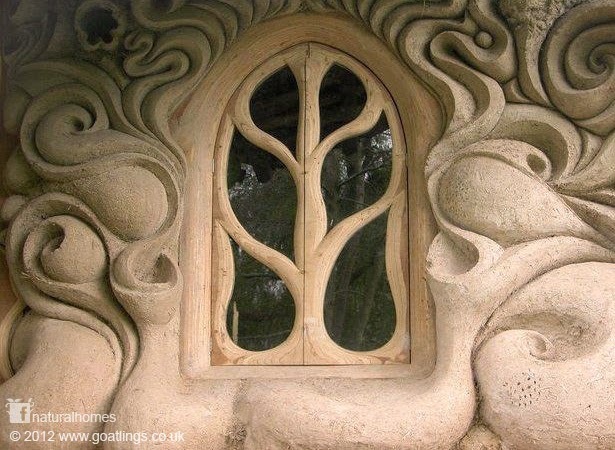 Anyone can make cob, the whole family can get involved to build a cob home."" Cob is made from soil on site, no delivery charges. What is great about building a cob house is that it is sculptural, beautiful, organic, the walls can be curved and each room a different shape. The walls are two foot or more wide making your build warm in the winter and cool in the summer. It is a cheap way to build as the cob materiel is found on site only the labor involved has a price, and if you do it your self, the cost is your time. Before you build have a plan, because some of the furniture, architrave and skirting may have to be custom made. For me, I love the idea of a eco friendly self sufficient build. 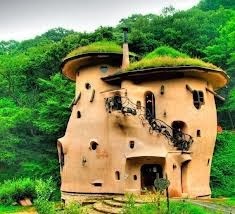 Over at Mud and Wood they have built a fantastic Cob house that economical to maintain,,,,,great ideas to think of when building your cob house. 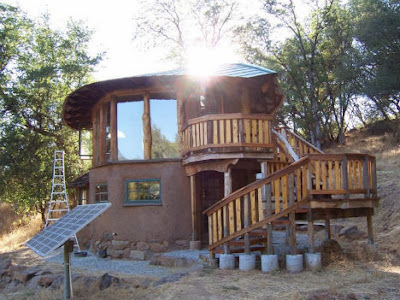 Rainwater harvesting, eco friendly toilets, insulation and green energy. 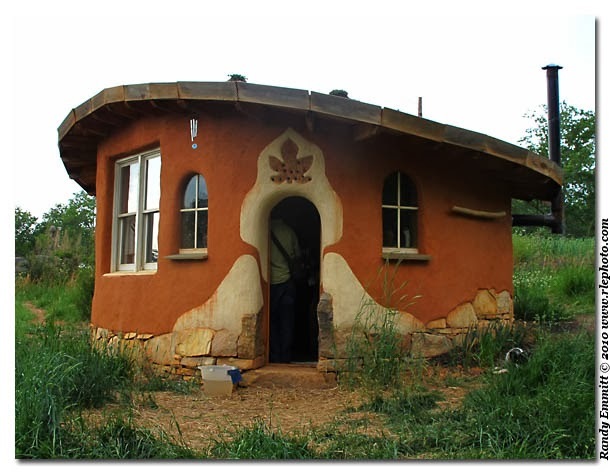 Over at This Cob House they are giving away a free guide on how to build a cob house, you have to sign up your email. Here.